> Learn How to Identify the Different Types of Pallet Wood! 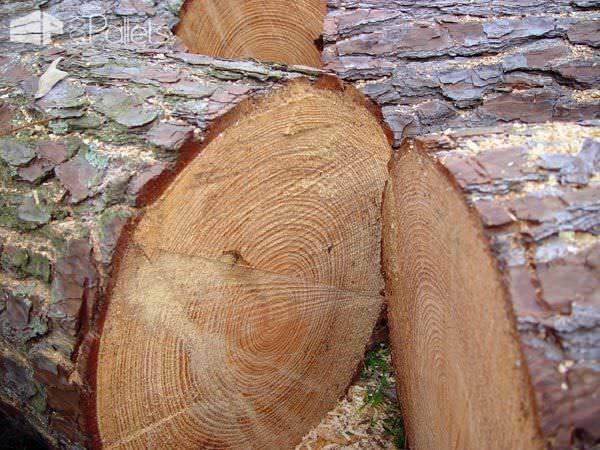 Hardwood and Softwood types of wood: "As a general rule, hardwood originates from deciduous trees, those who lose their leaves annually, and softwood originates from resinous trees, those who remain evergreen year long." I just assumed that all pallets were made of the same wood. HA! I was totally wrong. Only in the process of dismantling them with a Sawzall, I discovered some were easy, and others, if the blade went crooked, FOUGHT! Then I noticed that two pallets, roughly the same size could have drastic weight differences, despite looking the same. Why? My husband knew all of this already; he just never thought to tell me… or maybe he wanted a good laugh (either may be correct, dear readers). I didn’t know that mixing a couple of different "colors" of wood would make a difference in the build, but WOW was I wrong. Pine pallets are a lot lighter than Oak pallets. My back appreciates loading Pine pallets into our vehicle and tells me I’m evil when we find Oak pallets. I kind of lump Pine in with Ash & Fir – they all feel the same weight to me. Usually, we get a lot of Southern Yellow Pine in my area of the world. The most significant difference that got me sorting my pallet wood was when I started SANDING. I could sand (using a random-orbit sander) three or four boards, both sides until very smooth with one hook-and-loop sanding disc, while other boards needed a disc each. Yeah, probably a slight exaggeration, but you get the point. Why were some boards almost invincible, while others seemed to melt like butter if you over-sanded? Hmmm. Interesting question. By the way, sometimes sanding can help you identify wood by accident. I found out I'm allergic to Redwood after sanding it and breaking out in hives. I only work with Redwood on long-sleeve days now! 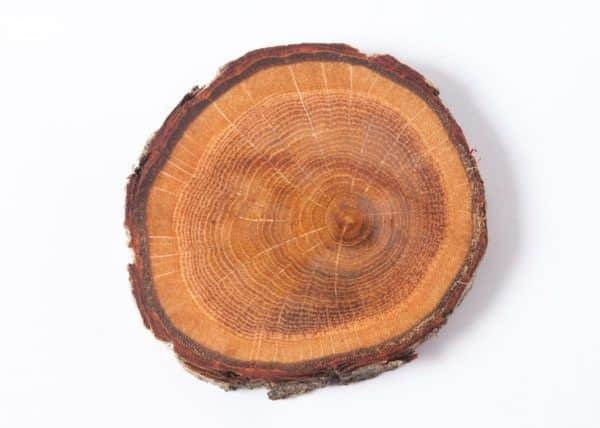 Cut a Pine board on a table saw or using a chop saw, and the only real resistance is a knothole. Cut an Oak board, and the whole thing is a challenge, and you get burn marks at the knot holes from the blade slowing and slightly binding. Poplar is challenging to cut, too. Just how the boards run across the saw can give you some clues. Redwood chips quickly and gets those little pokey bits when using a chop saw; Red Maple doesn't (at least in my limited experience). The other thing I started to notice is the smell of the wood. This is usually when I’m sanding them, but sometimes with cutting too. You’ll DEFINITELY know when you get a Pine pallet – you sand over a knothole, and you get that fantastic Pine-sap smell!  Sanding or cutting Oak boards makes me think of barbecue since we use Oak for cooking. Have an Oak pallet board get stuck on a band saw, or when the circular or table saw struggles with a knot, and I’m hoping it’s dinner time! PS - Avoid Oak sanding if you’re on a diet, haha! Redwood smells a tiny bit like cedar TO ME – but don’t be upset if you don’t agree – it’s OK! When you try to level out a piece that you’ve mixed different wood media, you find out real quick about end-grain, with-the-grain, and against-the-grain. The other problem is that some woods plane easily – no surprise – the softwoods, while the hardwoods resist my feminine wiles! I’ll slide the plane along a piece of Pine and stutter to a stop on an adjoining hardwood. Many a blister has been formed, no thanks to the mighty Oak. I learned a while ago that when two pieces have me guessing, I just put a few drops of water on them – particularly near/on a defect, knot, or a grain swirl. Gross-factoid: I discovered this on a hot summer day. I know – ew – women “glisten,” right? Anyways, dry Pine looks like Pine. Dry Pine also looks somewhat similar to Ash, Poplar, Fir, Birch, Beech, Maple and even Pecan (sorry –I know Pecan isn’t common, but I have some Pecan logs I’ve been working with). They’re all pale. They’re all pretty. Wet Pine does NOT look like Wet Poplar. Poplar almost goes a little silvery to me, where the Pine stays that lovely pale gold. Sometimes you’ll see the heavy graining that you didn’t notice before, or see different styles/patterns of grain that don’t match all the other Pine boards you’ve touched. I’ve sometimes had to resort to cutting off a skinny slice from one end of both boards. Then I’ll touch, smell them, and even take regular sandpaper to them and see if I think they’re the same (or similar enough to work for my project). I’m still not 100% able to identify everything, but my “mad skills” are improving. The other reason I cared about hardwood vs. softwood is that sometimes, rare or exotic woods are used – as a native tree always seems to have less importance to the locals, but foreigners are EXCITED to get those pallets! Supposedly there’s a kind of black-market for exotic pallets. All I have to do is to look around my 1920’s California Bungalow, LOADED with 1920’s California Redwood as SECONDARY wood (including building a tool shed and carriage house out of two layers of tongue-and-groove Redwood siding!!!) and I can see an example of not valuing local timber. 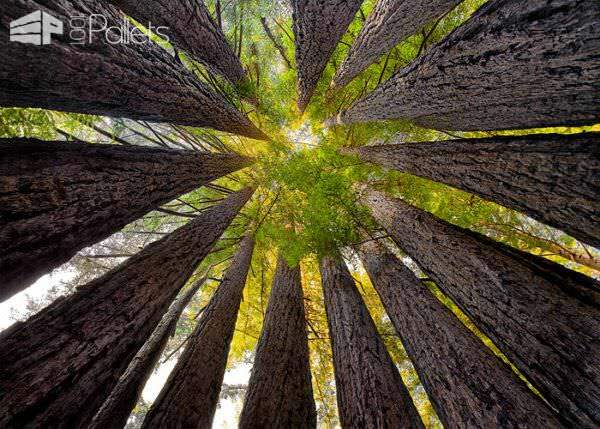 There used to be Redwoods in the Southern California mountains in the 1920’s… until they were all cut down. I suppose native trees may be considered a “junk wood,” but if I get my hot little hands on some Curly Maple or Purple Heartwood, I will squeal with delight! Finding an exotic-wood pallet would be this California gal’s modern-day gold rush! My recent experience with this is that I’m pretty sure that I got a couple of pallets made from RED MAPLE. However, at first I thought it was just a different type of Oak, but it didn’t quite sand the same. It didn’t make my mouth water for barbecue either. Then I looked at images of wood types and guessed that it was maybe a variety of the red-tinged Mahogany family. 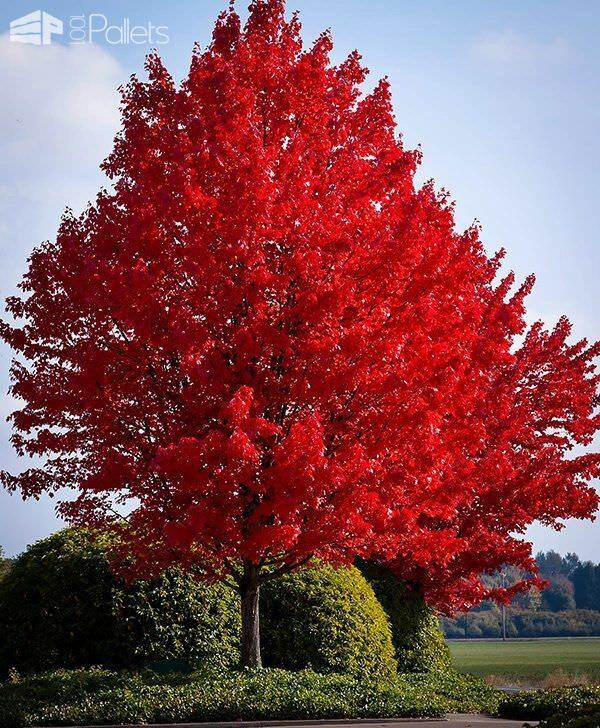 Now, I’m about 90% sure that I lucked out with Red Maple – I got to feel and SMELL some recently. Ha! My sensory detective work put to the test! I’ve read that sometimes there are pallets with Mahogany, Teak, Ebony, Purple Heartwood, and even Ebony out there. Alas, not for me ... yet. So, dear readers, if you’ve stayed with me so far, perhaps you can follow me through one more paragraph? As you learn to enjoy woodworking with pallets, you’ll become a detective of sorts. You’ll learn to use all your senses (sometimes even suffering a rash from it if you’re like me). You’ll feel that rough/fuzzy texture of an old Oak pallet in a shadowy wood pile and won't even have to see it. You’ll learn to spot and sort your stacks of broken-down pallets by their end grain. Sweat can finally be your friend – flying it around! You’ll challenge any Bloodhound to his sniffing skills. No website will be able to fully teach you to identify wood. You'll have to get out there and EXPERIENCE it to really get it. You’ll probably have a lot of fun doing it, too. 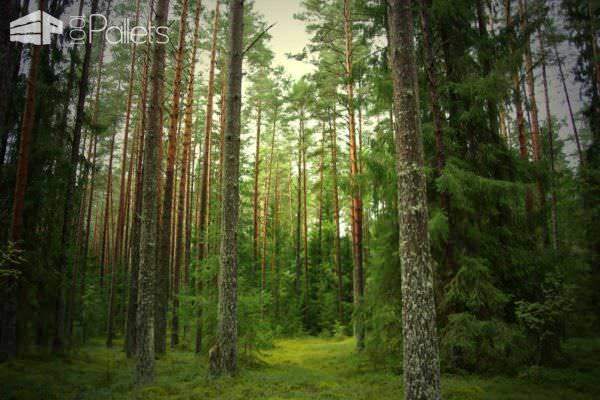 Good to know: The two most common wood types used for making shipping pallets are southern yellow pine and oak. In the United States of America, a former study done by the USDA and Virginia Tech determined that southern yellow pine wood was used in 18.9% of all the produced pallets while oak was used in 17.1% (by volume) of the produced pallets. Both oak and SYP actually contain several species that make up the woods classification which is based on the density of the wood. Southern yellow pine wood: available in quantity and at meager cost. Can be kiln dried (KD stamp, see our safety page) and provides a clean product. Oakwood: used for its strength and also availability. The pallets are made from leftover oak lumber that was not used for making furniture. 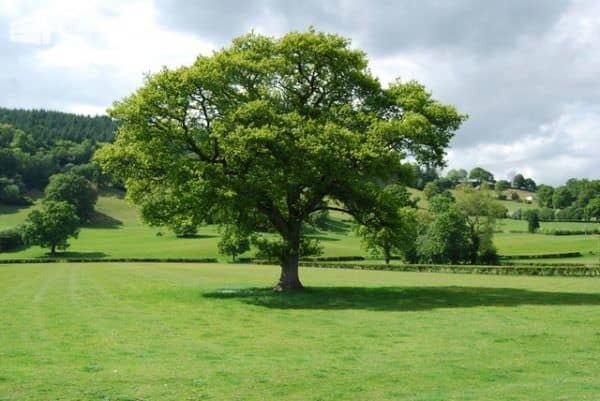 Oak is also one of the stronger hardwood species. The current trend by many pallet producers is not to separate out pallet material by species, but rather by hardwood vs. softwood. Below is an interesting infographic by Furniture.co.uk that will show you a brief overview of the different types of wood and, if you are interested in learning more about all woods that exists, you should visit The Wood Database website. I’m one of those who did come across some amazing pieces of pre ban Amazon rain forest Brazilian pallets built for Boeing airline Corp about twenty five or thirty years ago. Well preserved. I acquired this lot recently and wish to share it with all rather than a single buyer. How do you guys think I should go forward? Thank you! I’m currently collecting for a project and though I’ve been playing around with wood since I was a small boy, I realized I was having a hard time IDing the wood on the most common type available in my office neighborhood. I thought it was the oak I was hoping for, but it’s suspiciously light. Sounds like taking one home to investigate closer is my best bet. Is there a worked cited citation for this article? Thank you soooooo much!! Excellent writing style! Excellent information and enjoyable reading! Thanks so much! Thank you for sharing your experience and using plain language. I am just embarking on a project to build a workshop and fill it with power tools (being a man it’s got to be done) lol. I have a small wood burner and when I see some of the wood I cut to burn it is really sacrilegious. I hope to repurpose some of the wood into new but rustic furniture items. I am at least enthusiastic if not experienced. Good luck with your future projects. Great article! So informative, I’ve learned a lot. Thanks so much for sharing your knowledge. Well written and very informative. I learned a lot. I never knew that there was so much details dealing with wooden pallets. I’ve been doing some research because my husband wants to find some for our garage. He told me that he’s going to start working on a few projects around the house and he needs the wooden pallets for them. But, I have no idea what type of project he is talking about. Hi Taylor ~ When you & your husband decide and build those pallet projects, be sure to share them! We’d love to see them. Happy Palleting! I’m a nurse, but I love woodworking! I’ve been experimenting with pallets since we get a couple deliveries a day on pallets and they aren’t allowed to stay in the building due to them being fomites. My job just throws them away, so I have access to all i want, I just have to figure out what wood is worth taking and what I want to leave haha. I’m up to my eyeballs in southern pine. Awesome! Another nurse/woodworker! *high-fives you* Looking forward to seeing your creations. Happy Palleting! -HS. I’m new to the pallet world and about to go pick up my first ones. I know the industry can vary which wood you’ll find so once you find a good honey hole keep it for yourself. I’m building a house and using pallets for 700sqft of end grain wood tile flooring and possibly an end grain countertop. Now to get my first pallets and start cutting the 14000 tiles. WOW That sounds like an amazing project! PLEASE take photos throughout the process – and if you want to create a DIY video or tutorial on how to make your own wood floor from pallets, we’d LOVE to feature you! 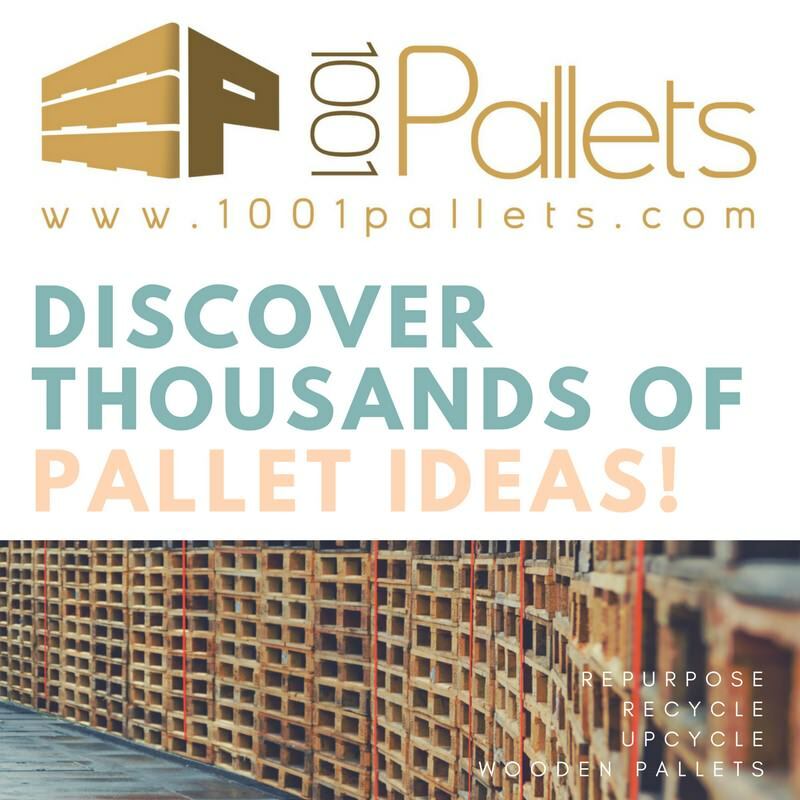 If you need any assistance submitting a post, you can contact us or email me directly: 1001pallets.heatherstiletto@gmail.com Happy Palleting! YESSS! You get it! Pallet presents!!!! I really appreciate learning about this from you. Thank you so much! Thanks so much for taking the time to comment! It means a lot! <3 Happy Palleting! HS. Thank YOU for taking the time to comment! Happy Palleting! – HS.